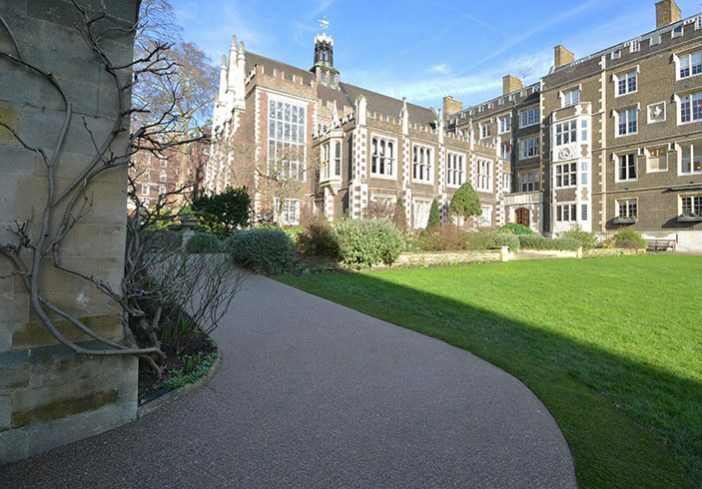 The Honourable Society of the Middle Temple. 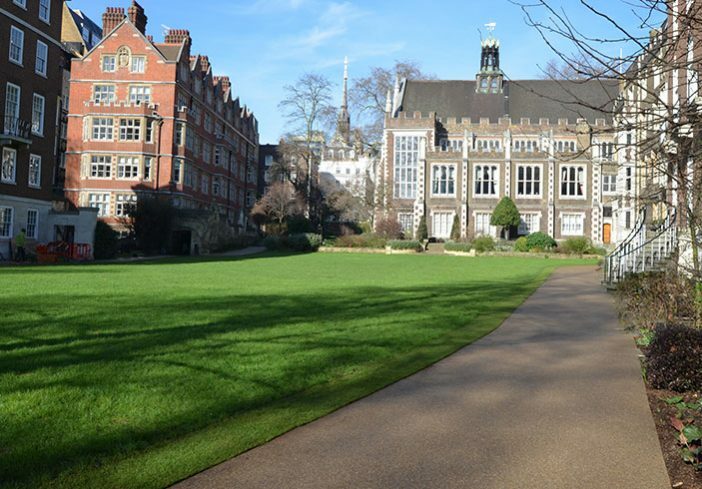 The Middle Temple needed to find a practical modern paving solution for its central London award winning gardens which worked well with the ancient buildings of the barristers’ chambers. 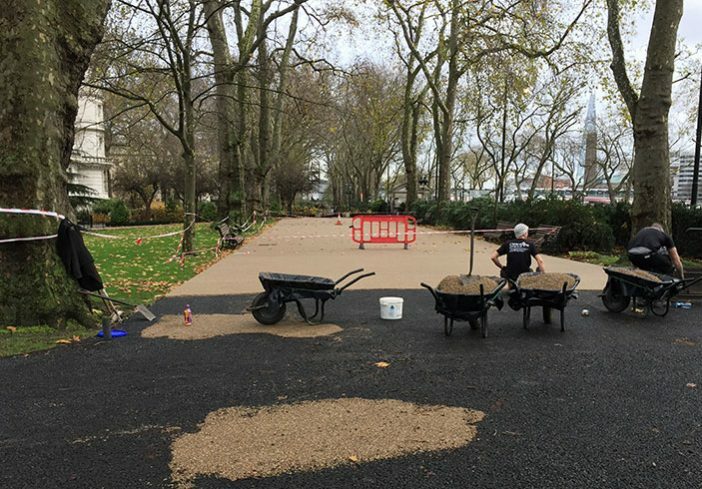 “The original paths were gravel which was kicked around easily, looked unsightly and would frequently clog up our drains, leading to blockages. 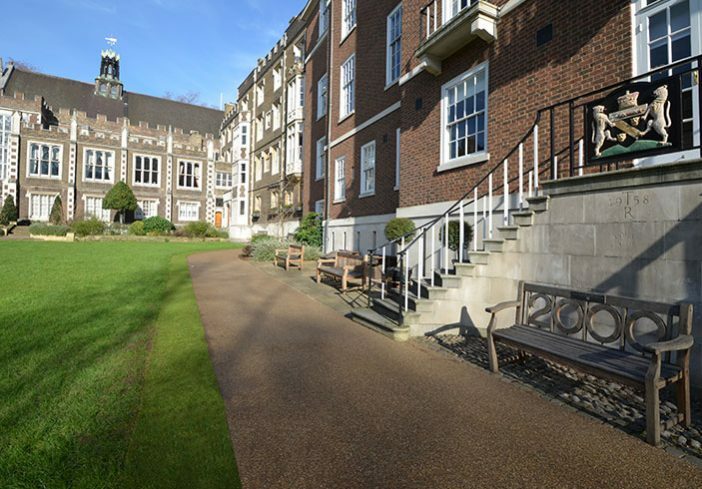 We also needed smooth surfaces for wheelchair users to enjoy the gardens,” says William Kervick, Surveyor at The Middle Temple. 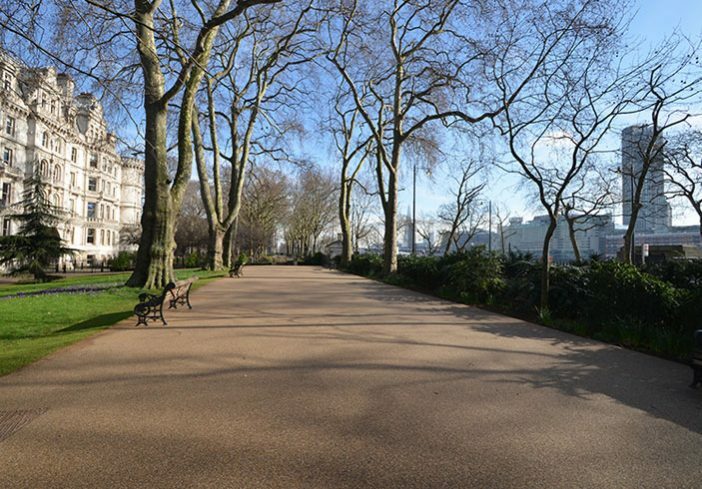 In addition, the London plane trees in the Temple gardens are over 200 years old, listed and remain under the watchful guardianship of the Head Gardner and local tree conservation officer. Careful consideration needed to be given to the health of the tree roots, making sure that air and water could circulate around them. 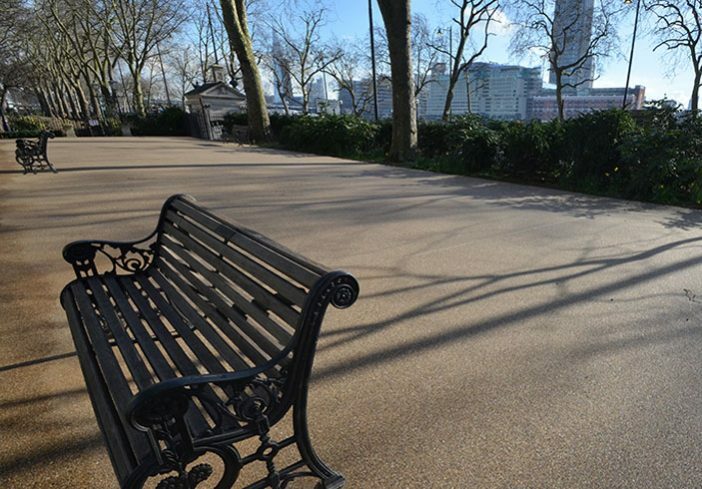 Clearstone resin bound paving was the perfect solution: smooth wheelchair-friendly paving that is permeable, allows air to circulate and looks so sympathetic to its surroundings that you can imagine Dickens wandering along the paths composing his next chapter, inspired by the play of water from Temple Fountain. 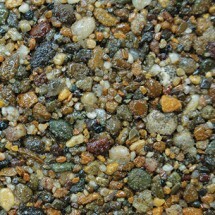 Area: Installed area 1572 m2, laid at a thickness of 18mm. 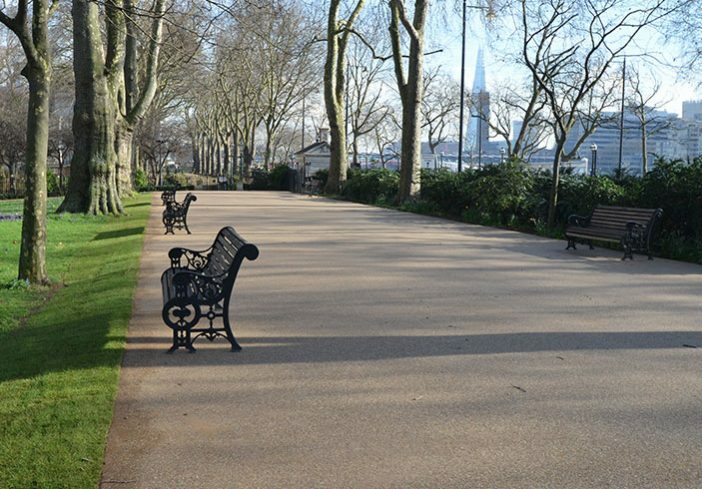 Installation Date: October and November 2015. 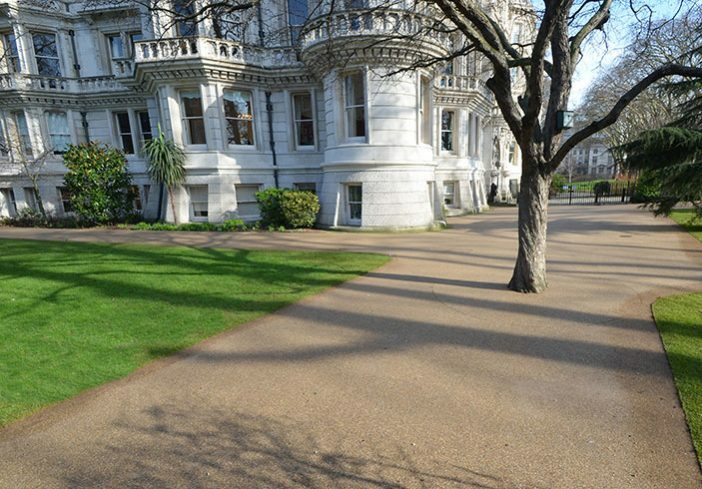 Clearstone craftsmen were very sensitive to the barristers’ need for serenity, working quickly and quietly with minimum disruption. 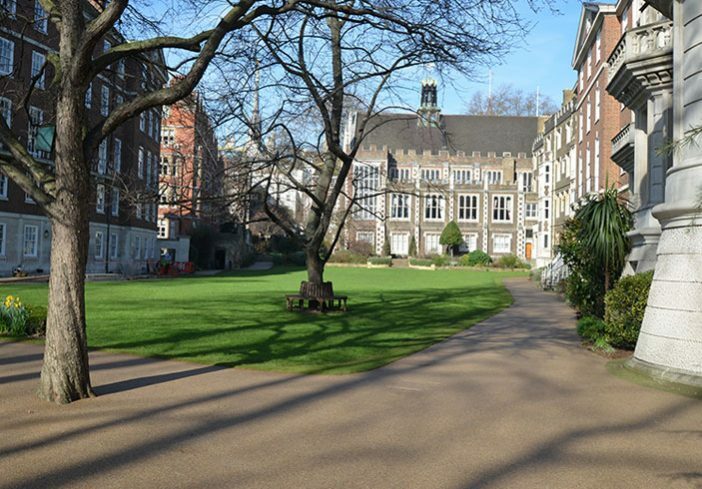 In addition, the Clearstone team was ready to deal with the unexpected: the Middle Temple gardens are often the venue for events such as the Submariners’ Remembrance Service attended by HRH The Duke of Cambridge on 1 November 2015. 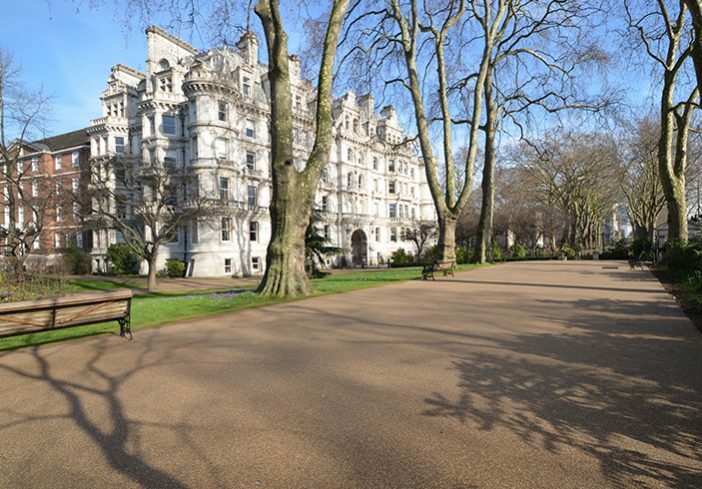 “Two events came up while the work was in progress and it was great that Clearstone craftsmen were so flexible and worked around the events,” says William Kervick.